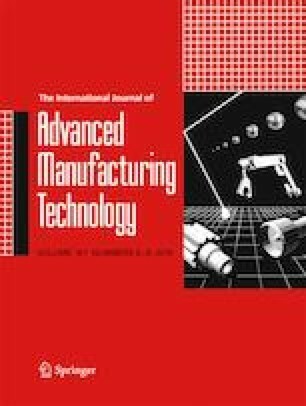 In this paper, we propose a solder joint defect type classification method for automatic optical inspection machines in the manufacturing system of printed circuit boards. The inspection procedure for the solder joint defect type classification consists of an offline stage, which sets the optimal feature extraction region, and an online stage which classifies a defect type. In the offline stage, we use an optimization technique, namely, the genetic algorithm, to optimize the feature extraction region. In this stage, the optimal feature extraction region for defect type classification is constructed automatically. In the online stage, feature extraction regions are used to segment the solder joint image after component image acquirement. We then extract various color features from the segmented feature extraction regions. Next, we use support vector machine, which is one of the machine learning model’s method to classify the solder joint defect type. To evaluate the performance of the proposed method, ten types of solder joint defects were used in an experiment. The experimental results verified the effectiveness of the method in terms of the recognition rate, and its convenience.